If you have been recently arrested, we understand that you are likely experiencing a great deal of fear and confusion about your rights and legal options. You are questioning who you can trust and are wondering who you should turn to for high-quality legal counsel and tenacious representation. When you choose Sweeney & Associates, LLC, you can rest assured knowing your case is in capable and competent hands. We have been practicing criminal law for more than two decades. As such, you can be confident we have the in-depth legal knowledge to craft a highly effective defense strategy on your behalf. We proudly serve the cities of Quincy, Boston, Canton, Dedham, Westwood, and all of Massachusetts. After being arrested for a criminal offense, it is imperative that you retain the immediate representation of our Massachusetts criminal defense attorneys. The right attorney may make all the difference in the outcome of your case. We understand both sides of the courtroom and may be able to help you obtain the upper hand in court. Do not sit back and wait for your charges to blow over. 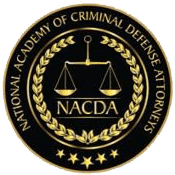 Take immediate action to ensure your rights, freedom, and future are properly defended by a skilled criminal defense attorney. Our defense lawyers bring more than 20 years of combined trial experience to the table. Additionally, we have been practicing criminal law for more than two decades. With our history of success, you can be confident we are the right choice.